Pull Out Your Crock Pot and Let's Go! I cannot say enough positive things about this recipe. It is quick and easy and everyone in my family loves it! This is a great recipe to make and eat throughout the week. Oh, I forgot to mention that it is low fat and you will never even know it! 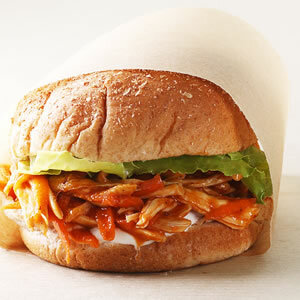 Place the chicken breasts into a slow cooker, and pour in 3/4 of the wing sauce and the ranch dressing mix. Cover, and cook on Low for 6 to 7 hours. Once the chicken has cooked, add the butter, and shred the meat finely with two forks. Pile the meat onto the hoagie rolls, and splash with the remaining buffalo wing sauce and a little lite blue cheese dressing. A low-fat slaw would make a great addition to this sandwich. Don't like sandwiches or going low carb, then serve it like you would pulled pork barbeque. If you make this, please stop back by the blog and tell me about it in the comment section below. What in the world are Silly Bandz? 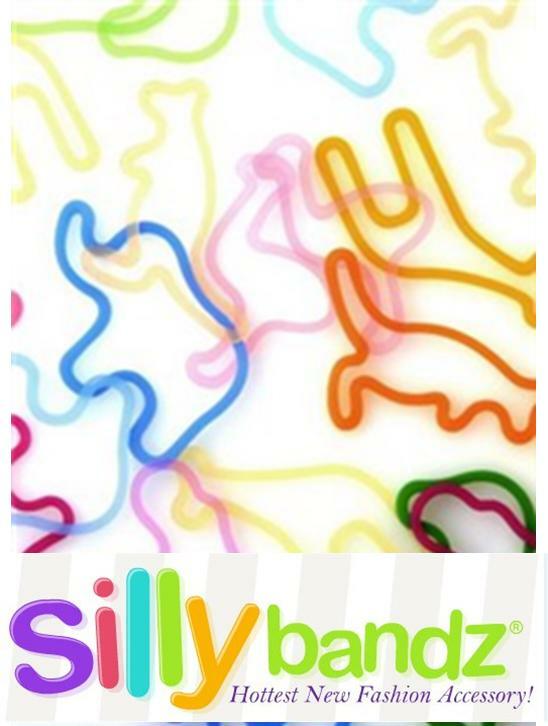 We have the original Silly Bandz! Kids everywhere are going crazy over Silly Bandz. These colorful Silly Bandz are made of silicone and die molded in many different fun shapes. Start looking at the wrists of the kids in your life and you will probably find Silly Bandz. Kids wear their Silly Bandz on their wrists. When they take them off the colorful rubber Silly Bandz return to their original shape by simply holding in their hand. Each box includes 24 Silly Bandz. 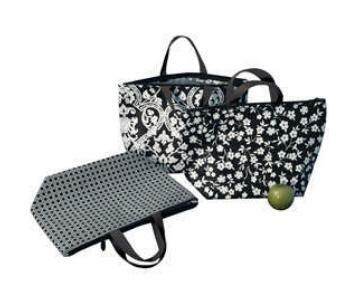 We have just received these cute thermal lunch totes (10"w x 15"h). This is the best part-they are only $9.99. You can find these at both shops! Let's Party! Mark Your Calendars! 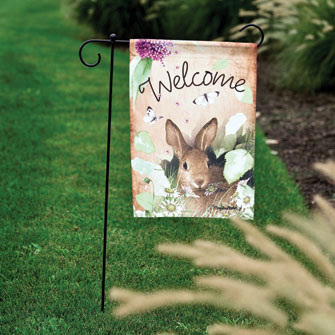 New Shipment of Summer Garden Flags~ Just In! We were running low on our garden flags and placed emergency orders that have just arrived from two different companies. The new designs are already at each shop, so stop by! I love Wheat Thins Flat Bread Crackers! This is my find at the supermarket this week and honestly I have just made my first snack and love them! I put roasted red pepper humus with small diced cucumber (enjoying from Dad's garden) on each cracker. I had also spread a low fat version of a Willow & Wind Cheeseball in the Bacon Mushroom flavor which was great. These would also make great mini pizzas, cream cheese and veggies, barbeque sauce with chicken and diced green onions...the list goes on and on! Best of all 2 crackers are only 60 calories (30 calories each)! I am definitely going to try to other flavors next! Ok, it is just after midnight, when I am blogging, and I may have to eat another! Note: I was not paid by Kraft Foods for this endorsement (smile)! A BIG Update about ME! 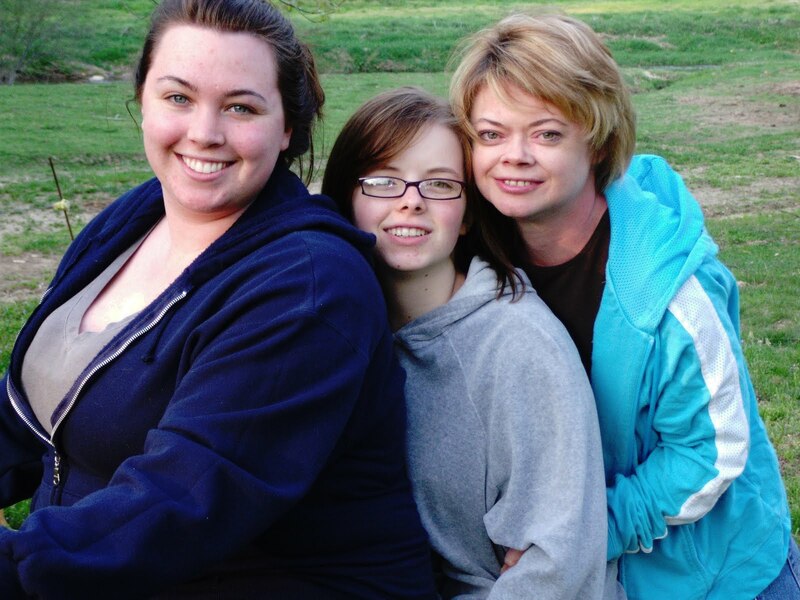 Over four years ago, I was diagnosed with an autoimmune disease called dermatomyositis. This particular disease causes my immune system to attack my skin and muscles. So I found myself with odd redness on my face that no one seemed to know how to treat in February, 2005. While volunteering at Merle Fest that April, my muscles were so achy and never seemed to recover, thus started my long journey with huge doses of steroids (prednisone) and other medications many tests and prognosis of a two year treatment time until the disease was repressed. Honestly the spring of 2005, I could not sit down on the floor and get up on my own. I was sure that I would be in a wheelchair by the time I was 40 years old. I found I could not be out in the sun at all, because my skin reacted to UVA rays. Even without going out in the sun, I had huge red areas on my face, arms, hands and legs. My skin was the worst case my dermatologist had ever seen that was related to my particular disorder. Every office visit, I was viewed repeatedly by various interns, residents and nurses as "a unique case." I really was not a vain person; however this was a true test of my strength! I would pass people in the grocery store who would stop me to tell me how to treat poison ivy! I was blessed to find almost immediately the prednisone had an almost 100% recovery rate for my achy muscles and my blood work was slowly improving. My doctors were most concerned about my muscle issues, because your heart is a muscle and you also need healthy muscles to eat! Of course, I kept asking about the skin and was repeatedly reminded that skin would not heal until my muscles were healthy. The skin redness continued and never improved, however my muscles were feeling very healthy, until Christmas 2007. This particular year was a really busy holiday season and I was on the go all the time. January rolled around and I stayed home for a week with what I thought was a virus to only discover on a regular dermatology visit that my blood work was back to the same unhealthy numbers as my first doctor's visit in 2005. I had a really big setback, which took the doctor by surprise as well. So we backed up and started over, but again I was blessed with better results quickly and my doctor assured me we were still on the right track. I again had another flare-up later on in the year; however I was not giving up. Now I find myself in 2010, 4 1/2 years into a treatment that was predicted to take 2! My muscles are healthy and feel great. I was blessed to have made it through 2009 without any "flare-ups." Currently, I have been on new medication for over a year and my prednisone dosage is the lowest it has ever been. I hope to be completely off steroids this year. 2010 is looking up! I have joined the YMCA and enjoying my new muscle strength. Praise the Good Lord, my skin is getting better! The redness on my face, arms and hands have decreased by over 50% at least and it is looking better every day. Anyone who has ever taken prednisone knows that it makes your appetite go crazy, so over the past 4 years I had gained over 35 pounds. However in the past year, I made up my mind to think about eating healthy rather than dieting. I am eating every time I am hungry and I am making sure I have tasty healthy food. I have actually lost over 40 pounds! With this in mind, you will find me from time to time highlighting a favorite recipe or a new snack food I have discovered. Lastly, thank you to all our Ivy Ridge customers for your support as many of you have noticed the many changes in my life or from time to time my absence at the shops over the past few years. I can honestly say now that life is good! I am actually taking care of myself. I truly feel back to the old me and I am enjoying my work to the fullest. I am blessed to have a career that enables me to chat with wonderful people and bring a little joy in each small gift you give. Note: Photo is Allison, Mackenzie & myself this past spring. 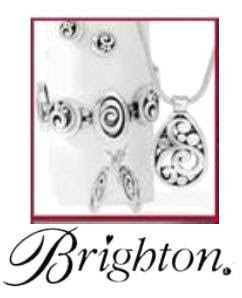 Yes, we are still bringing in Brighton Jewelry to both our shops. I now have all the company paper work in place and I have a meeting scheduled to place the North Wilkesboro shop order. The shipment date will depend on the availability of the display shelving, which ships from California. We are hoping for a mid-August delivery, however we will know more in a couple of weeks. Sorry for the delay, however somethings are worth the wait! However, you do not have to wait for long, because we have a small sampling of Brighton on display at the North Wilkesboro shop. Our Brighton rep, Brenda, did a small order for us, so all our wonderful customers would actually believe Brighton is coming soon! We should be able to place small order now, even without the display case. Once the North Wilkesboro shop is completed (and paid for of course), we will process out the Elkin shop's display and order. Note about photo above: We actually have the bracelet, necklace and earrings in the photo for sale at the North Wilkesboro shop as part of our first small order. One of My Favorite Things! Key Finders! I cannot stress enough how much I love my key finder! 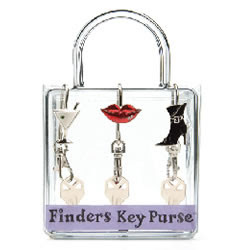 It is a great key chain/hook that hooks over the side of your purse to assure you can reach in the grab your keys in seconds! There are lots of different styles in stock and above you will see two of my favorite designs. 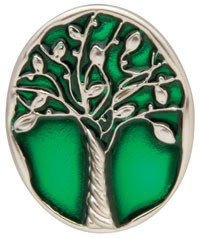 Shop early to assure you can find one to match your purse-onality! These are available at both Ivy Ridge locations at a $7.99 retail. 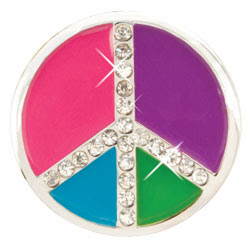 Note: We just got a reorder in on Friday, so there are lots of designs in stock! Vera Bradley Sofa & Coffee Table for Sale! 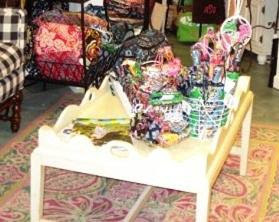 We are changing our Vera Bradley area and do not have room for our Vera Bradleysofa and coffee table, which was manufactured solely for Vera Bradley. 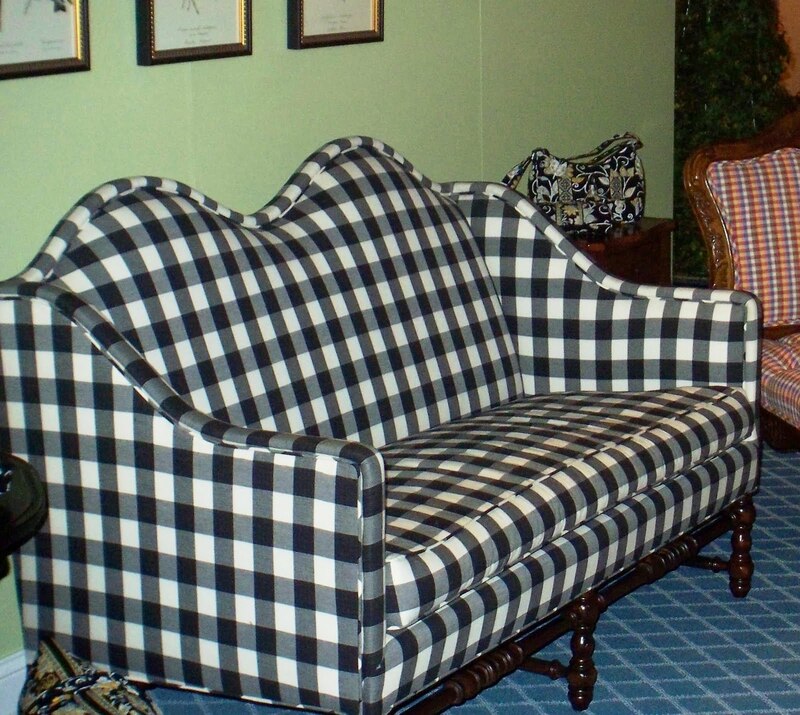 According to the VB sales rep, the sofa itself was a $2000 retail price. 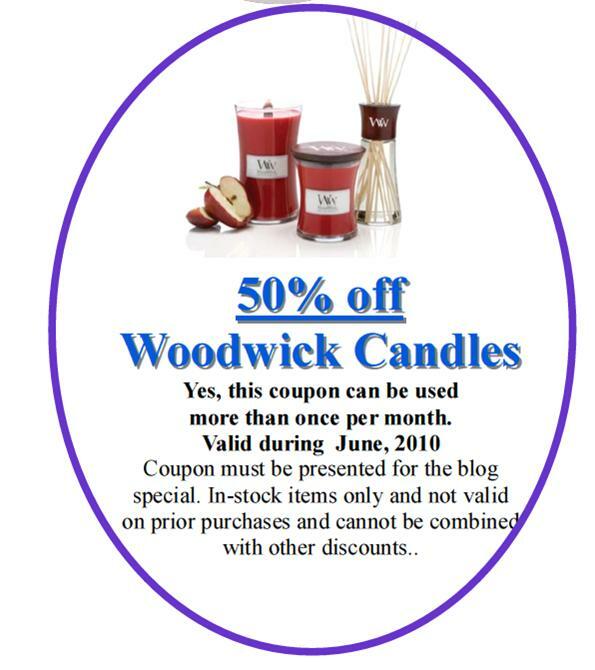 We will sell them individually or at a special price for both. 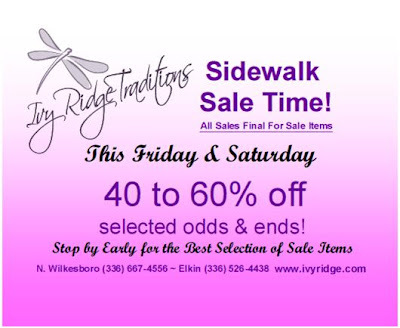 If you are interested and would like more information, please email me at angela@ivyridge.com. Little Girls Love a Birthday Celebration! 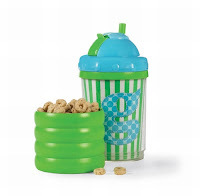 We have gotten in some adorable new baby things. 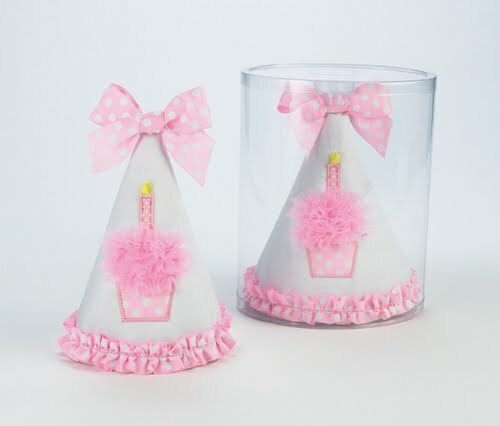 The cupcake items for girls are one of my favorites. 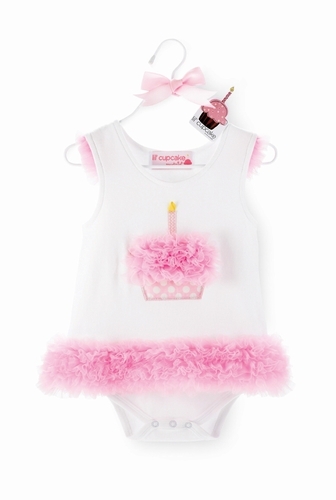 Baby Registery for Expectant Parents is available and we have tons of item to choose from. We encourage new parents to make an appointment to complete the registry, so we can make sure of find all the perfect items for the little one. It is Sidewalk Sale Time & a Facebook Contest! 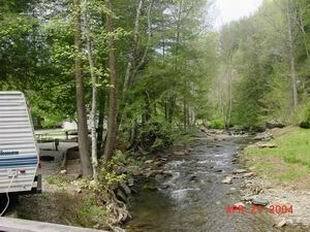 My favorite summer activity is summer camping with friends and family. An RV is always good too with air conditioning when you need it! Click on the link below for our Facebook page. 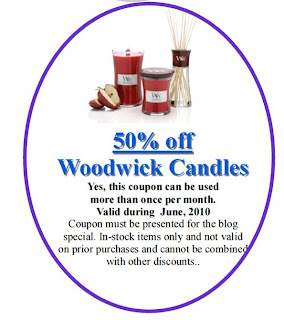 Please note you must sign up as a Facebook member, but you will love it if you do not currently participate! FB is a great way to reconnect with lost friends, classmates and family! Mark your calendars for Friday and Saturday, June 11th & 12th! 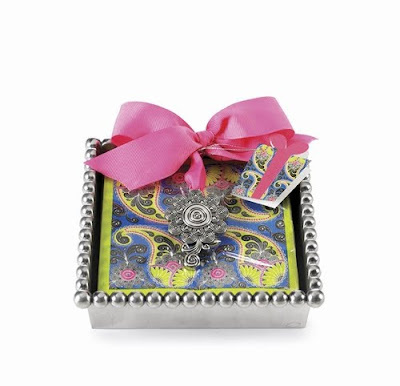 We will have great deals and our retiring Vera Bradley colors and styles will reduce to 40% off the retail price! 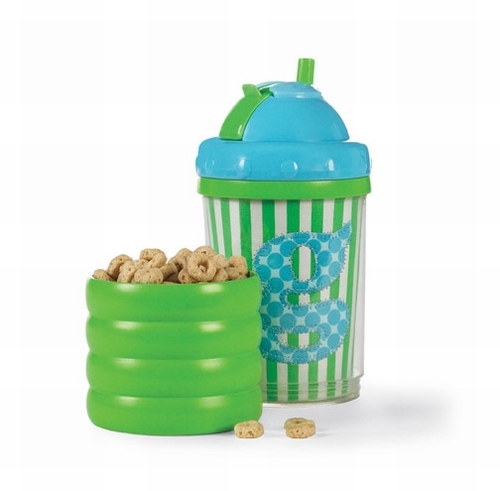 Just In- Sip 'n Munch for Everyone! 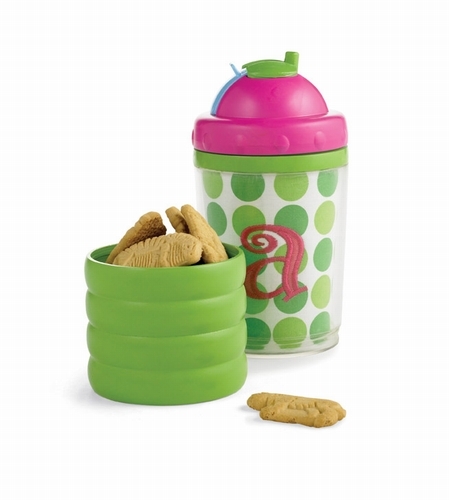 What a cool idea...take your drink and a snack all in one! Designs for everyone-from babies to ladies! 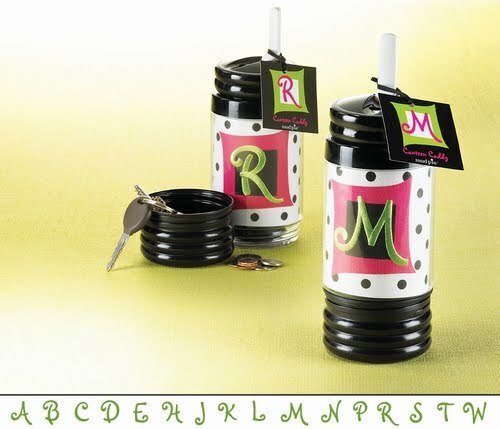 Our black, pink & white caddy has a cup on the bottom as well, however instead of a snack this is a perfect spot for money or keys. All are $14.99. Shop early to assure we have your initial in stock! Note: Our black & pink caddy are avaliable at the North Wilkesboro shop only, but we will be glad to transfer anything between shops for ya! Thank You to Blog Buddies! Facebook a Summer Activity and Win! School is out and summer is in full swing! Now what to do? Everyone who posts a great summer activity on our Facebook wall will be entered into a drawing for the super cool napkin caddy with paisley napkins ($21.99)-a perfect gift for summer entertaining. Post between now and Friday, June 11th. You can follow the link below to our Facebook page. You must be a member of Facebook to enter, however if you are not facebooking then you do not know what great you are missing. Facebook is a wonderful way to connect with friends and family. The only thing we ask is the winner pick up their prize in person at one of our shops. Quick note: I am so sorry to neglect our blog over the last couple of months. I have a tons of stuff going on-much to much to go into-however I am back! Start watching for some fun summer entertaining and summer trip recommendations!